cooking | Kristen Dembroski, Ph.D.
1. 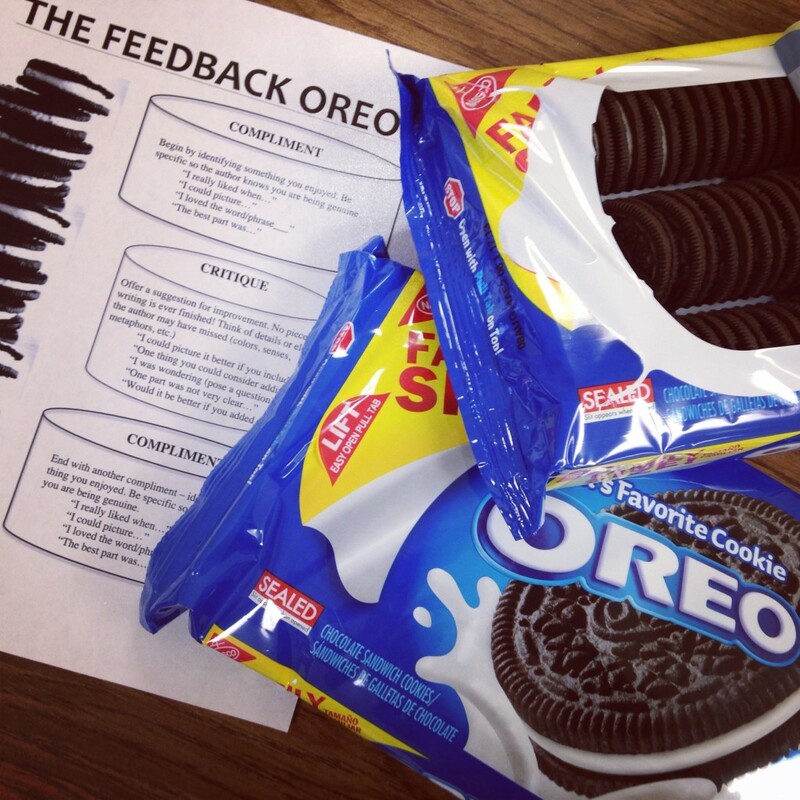 The Feedback Oreo – We recently began the Show Me Creative Writing Unit in Language Arts class. 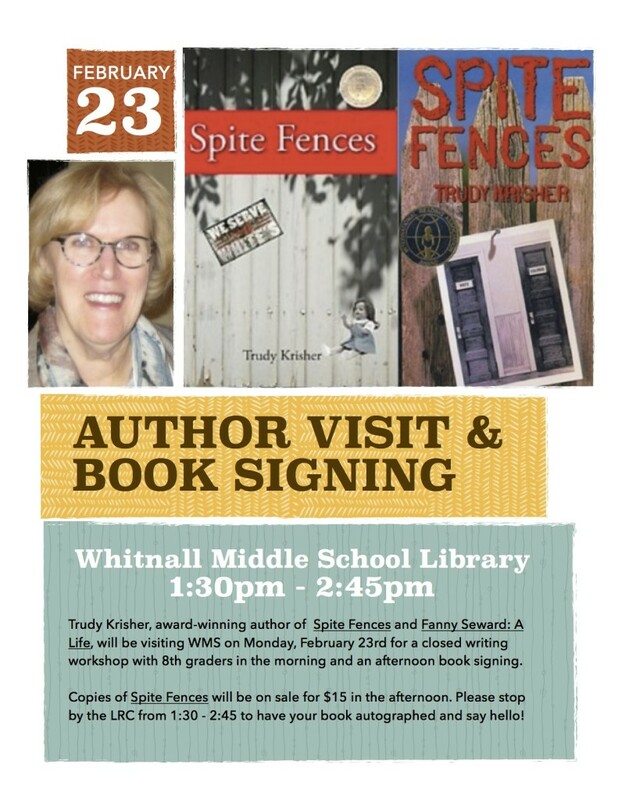 Students learn to write short, detailed, language-rich descriptions with specific word choice, sensory details, and metaphor. An integral component of this unit is the feedback or critique process. 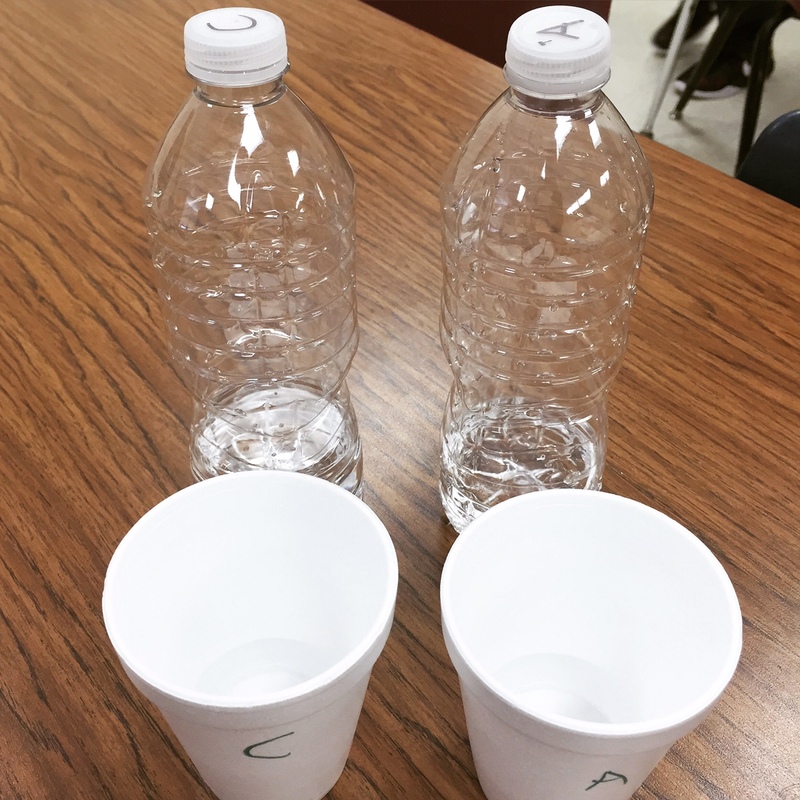 We begin by doing this as a class to model appropriate language and feedback. My students were doing a phenomenal job with this, so I brought in real Oreos as a treat. The Feedback Oreo = detailed compliment, detailed critique, detailed compliment. 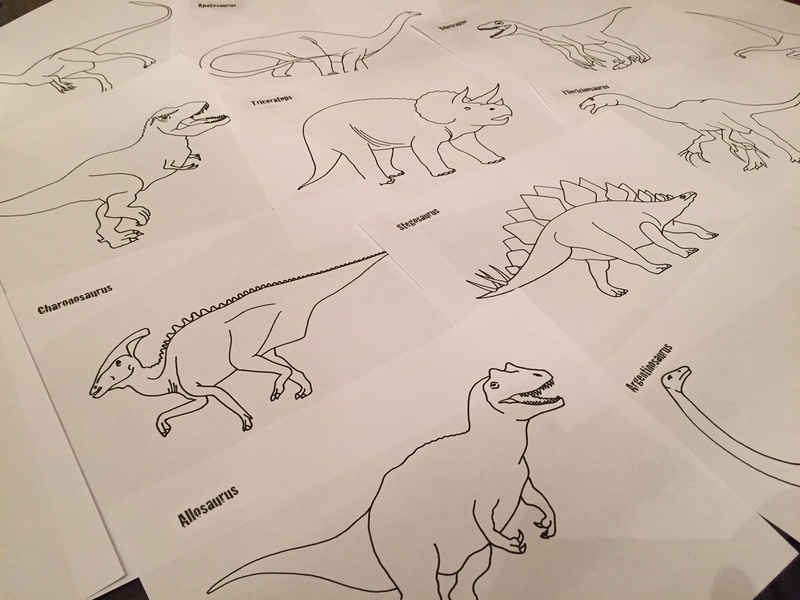 Each student walks away with specific ideas of how to improve their piece as well as a confidence boost. 2. 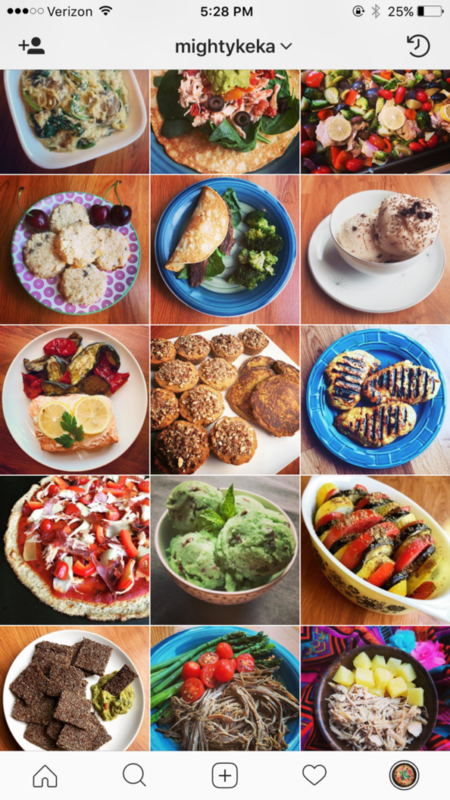 Weekly Cooking – The best decision I ever made was to do all of my cooking for the week on Sundays. 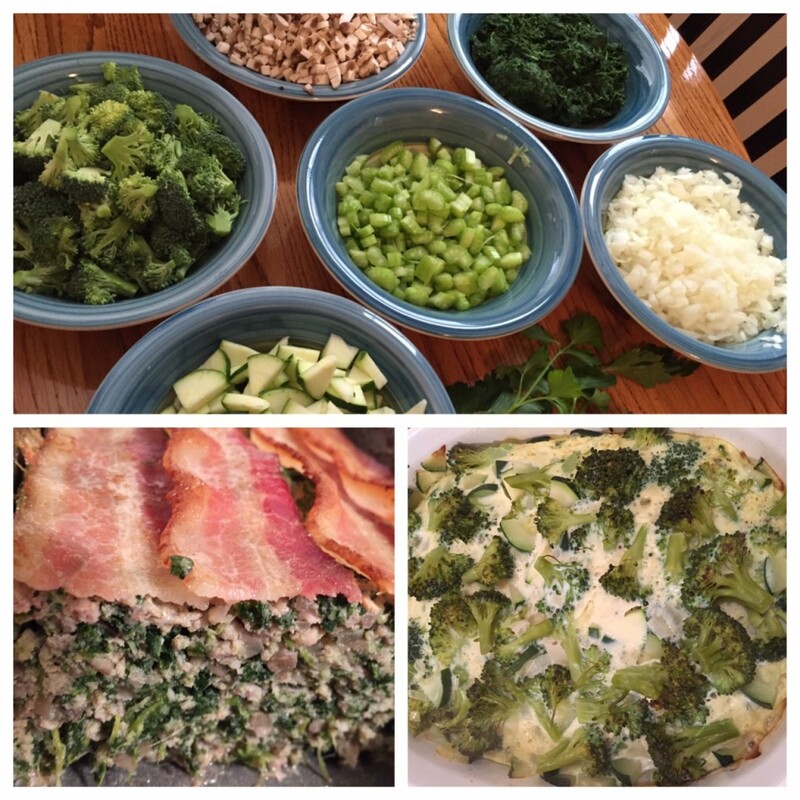 I make a couple of entrees for me and my husband – we split these up into individual portions for lunch and dinners. I often double the recipes and freeze half. 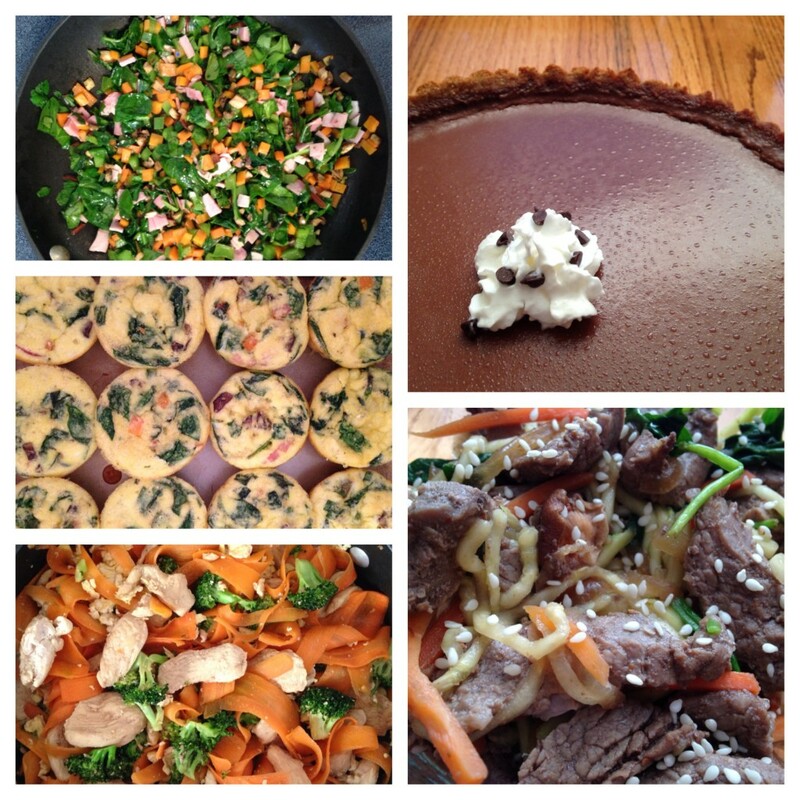 Above, you will see a Vegetable Stir Fry, Egg Muffins, Thai Pad See Ew, Korean Beef Noodle Bowls, and a Chocolate Pie! 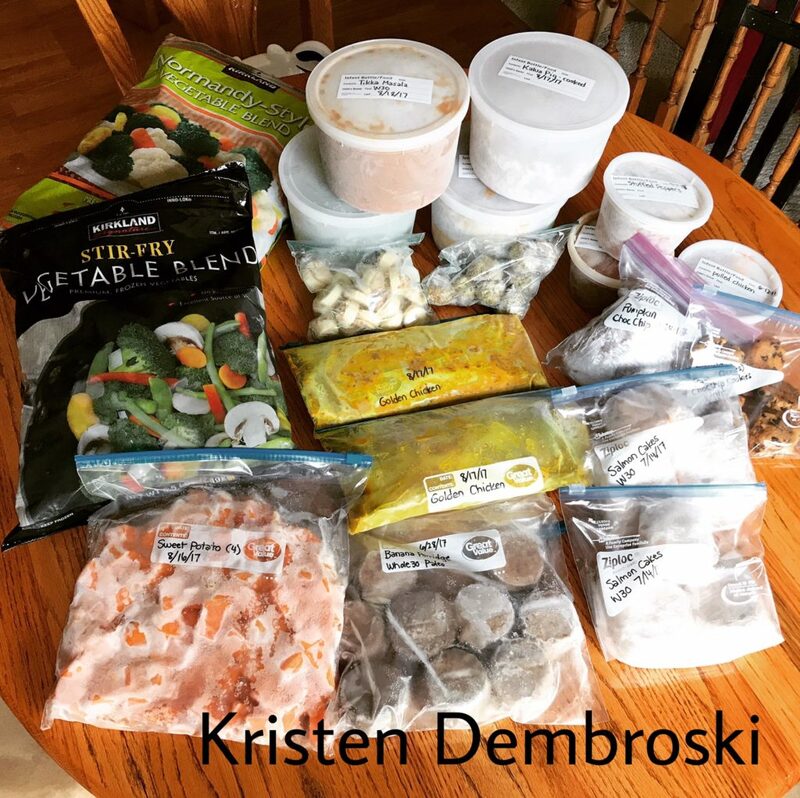 Not having to worry about meals during the hectic week is a major stress reliever for me and helps me to continue eating healthfully. 3. 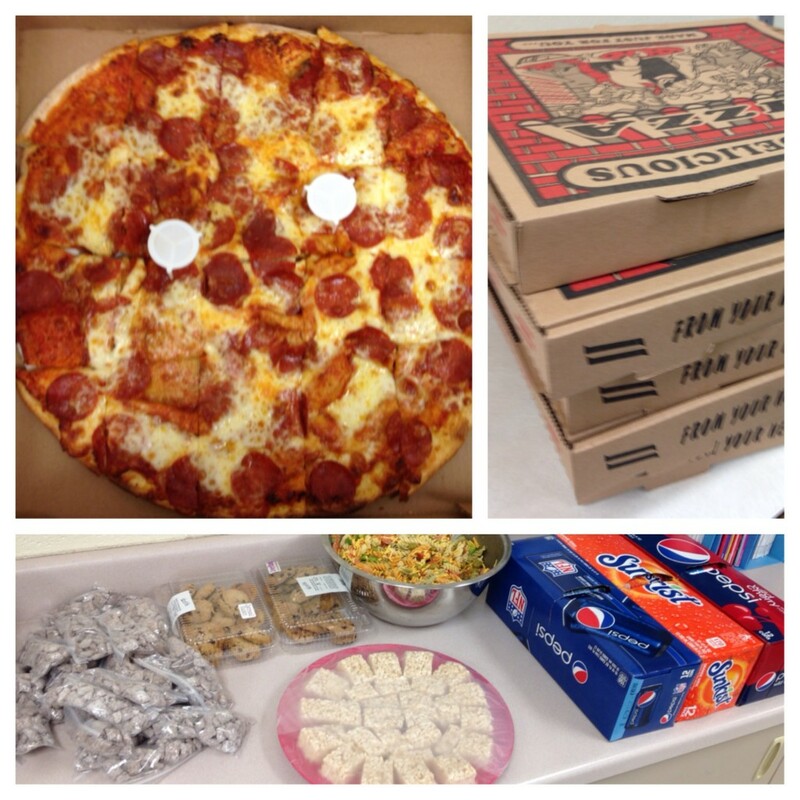 Pizza Party – To celebrate the winners of the PBIS Video contest, we threw a pizza party last Friday. All of the 8th grade staff helped chip in with desserts, soda, and other treats. It’s great to stop and celebrate with the students – it’s a great time to build relationships and reinforce positive behaviors. 4. Celebrating – On Saturday night, my husband took me out to celebrate turning in Chapter 4 of my dissertation. We went to my favorite sushi restaurant, then to Gigi’s Cupcakes for dessert. 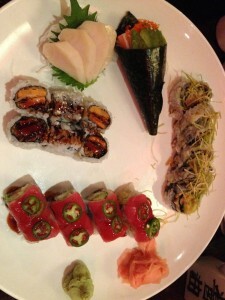 I love spending time with my husband – yay date night! 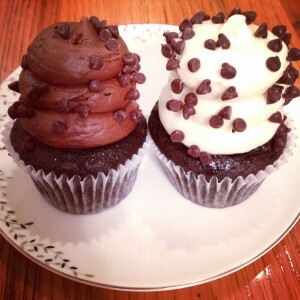 – and I have no idea what is better than sushi and cupcakes! 5. 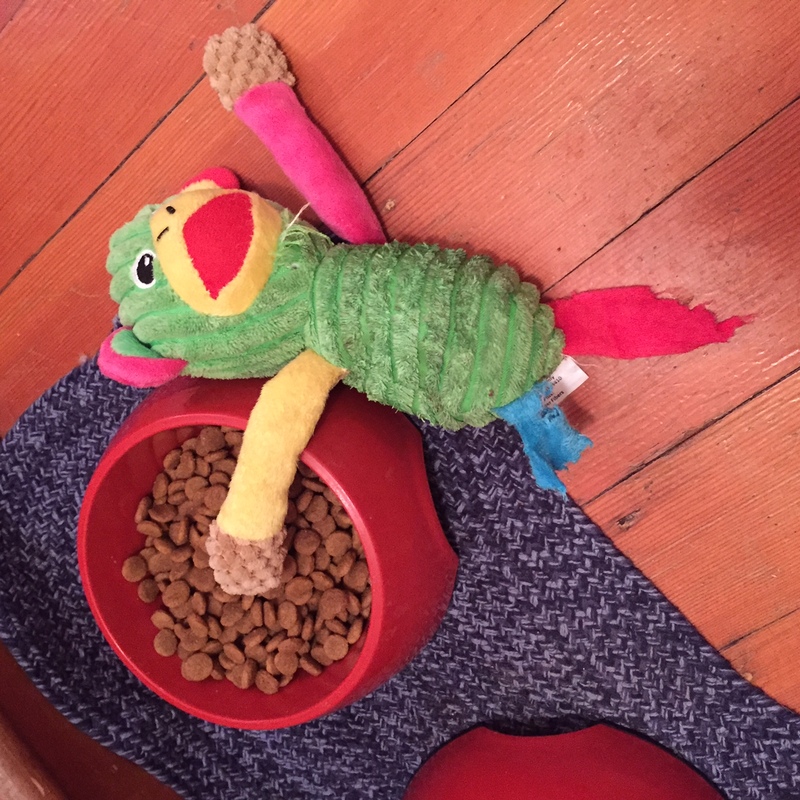 Money Challenge – Have you seen this on Pinterest? 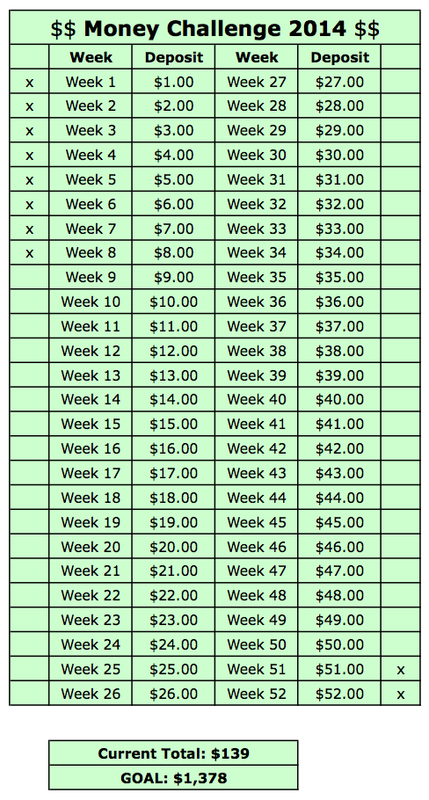 It’s a weekly plan to put away money with the goal of saving up $1,378 by the end of the year. Since I’d like to buy a nice DSLR camera, I thought this would be a great idea. I’ve been putting away the suggested weekly deposit, but I’ve also been putting away some of the larger deposits for the end of the year. I guess I figured it would be easier to make these more difficult deposits when I have the extra cash. Have you ever done a money challenge? I’m wondering how well people stick with it. Seems like a great idea! BONUS 6. 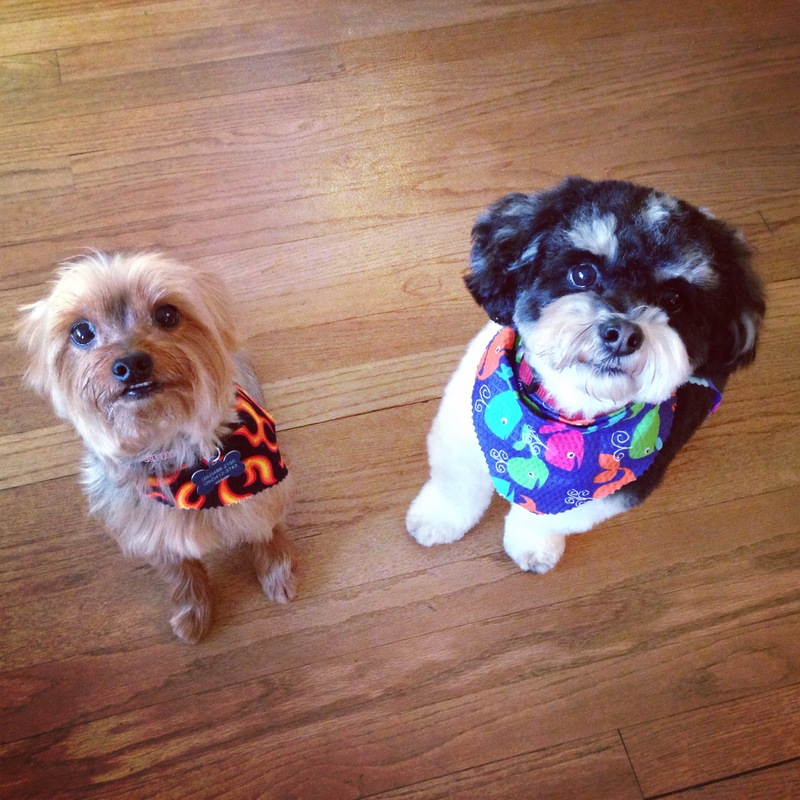 Cuteness – The boys got their hairs cut. LOVE them! I hope you had a fabulous week! I’d love you to send me a link or tell me about it below!